Head Lice, more than an itch? The head louse is a blood-sucking insect that has a three stage life cycle: egg, nymph, and adult. 1 week to hatch (6 to 9 days). mature and begin breeding 7-10 days after hatching. in colour. Female lice may lay up to 8 nits a day, and can live up to a month on a host. and also causes irritation and subsequent allergies in the human host scalp. off. Occasionally red bite marks or scratch marks can be seen on the back of the neck or behind the ears. Most head lice treatment products are quite effective at killing the live lice – but the eggs are a different case. No treatment kills 100% of the eggs, as the shell is quite difficult to penetrate, so retreatment is always necessary. that are late in hatching. By killing nymphs before they grow to adulthood, you can break the life cycle of the louse. increase your chances at success! bag and store them for two weeks. Lice cannot survive this length of time without a food source. The other key to successful eradication of head lice is to inform the parents of your child’s friends and playmates that you are treating head lice. If you can treat at the same time, you are more likely to get rid of the lice for good. 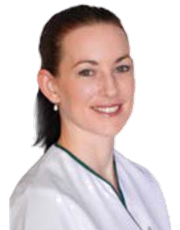 Ask the friendly staff at your local DCO pharmacy for advice on the best head lice treatment for your family. Head lice infestation is not related to cleanliness of a person or their environment. Head lice do not hop, jump or fly – they are a crawling insect - and must have very close head-to-head contact to spread. 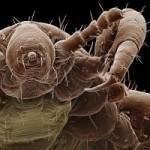 Head lice are a human parasite only – so you can’t blame the dog! Adult head lice need to feed on human blood at least every six hours, and will die within 24 hours of leaving their human host. Head lice are not known to transmit any disease and therefore are not considered a health hazard – they are just a nuisance!